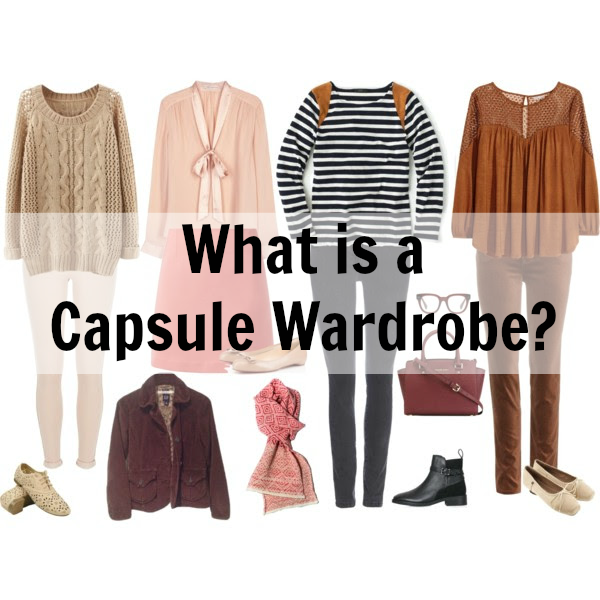 Catherine Denton: What IS a Capsule Wardrobe? A capsule wardrobe is a limited amount of versatile pieces you can mix and match to create beautiful outfits. The beauty of a capsule wardrobe is the utter simplicity of it. Instead of having a packed closet with tons of items you forget to wear or rarely wear; you have a wardrobe full of items you love. Your capsule is created with you in mind so it is full of what you actually wear. It is also extremely important that each item fit your body as it is now or you will be very limited in your outfit creations. Some people prefer to create a capsules for each season because it gives them fresh items to work with. Others prefer the simplicity of choosing one capsule to wear year-round. You may be wondering why anyone would LIMIT their wardrobe. The key is simplicity. We spend hours during the week attempting to find something to wear. So instead of wasting that energy on outfits, what if you could pull any top out of your closet with ease and know it would go with whatever bottom you chose to wear that day? Forget those days of standing in front of a packed closet with nothing to wear. No matter how you choose to do a capsule wardrobe or the number of items you create a capsule with, I can assure you that creating a capsule wardrobe will simplify your life! And your vacations! Capsule wardrobe seems like an idea created by wealthy people who have the disposable income and the home space to waste on a bunch of things they'll never wear. Those of us with less money have always needed a flexible wardrobe that suits many occasions. Fenna, you're right. A capsule wardrobe is often a push-back from mindful people in wealthier nations to lower consumerism and excess; and to be able to conserve and give to worthy causes. Erica, that sounds awesome! I'll be checking out your uniform lbd project. I love stuff like that! I popped over from DCW and simply click because your title was the Purple Cow in this weeks line up. So out of sheer wow factor you got me to click through. Great work, Catherine and thanks for standing out from the crowd. I enjoyed your writing very much. Kellie, haha, the purple cow ~ thank you, that's a huge compliment! How fun that you're going to Paris! Making a capsule for your trip is really smart. You'll be grateful NOT to be lugging a huge suitcase through the airport, streets and steps! Thanks for all your kind words!